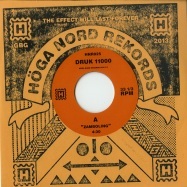 hoga nord rekords is finally releasing druk 11000! this 7inch is a collaboration between silverbullit, fontan and the bhutanese group aa yang - ensemble. the project took shape during a mythical trip to bhutan where the swedish composer and multi instrumentalist johan ‘the count’ westman who’s living in the country, hooked the altitude sick scandinavian musicians up with aa yang - ensemble. the local monks then blessed the musicians under mystical ceremonial procedures. 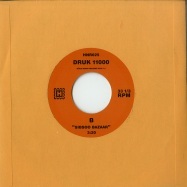 with protection from the dragon of thunder, druk 11000 has produced some of the most powerful, loving and life embracing music yet to have been released on hoga nord rekords! the songs springs toward the top of gangkhar puensum, bhutans highest mountain, building a mighty storm, noticeable all the way to the scandinavian woodlands!